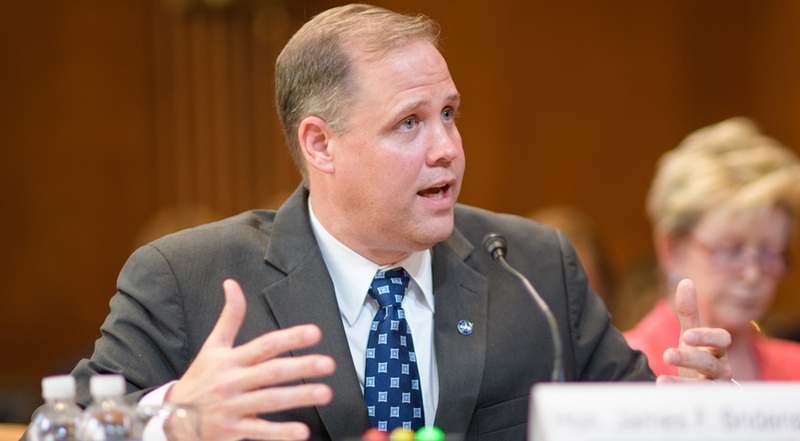 WASHINGTON — NASA Administrator Jim Bridenstine said Nov. 15 that the reelection defeat of a key appropriator, and the potential for budget cuts next year, is a cause for concern for him as he tries to balance the agency’s priorities. Rep. John Culberson (R-Texas), chairman of the commerce, justice and science (CJS) subcommittee of the House Appropriations Committee, was defeated Nov. 6 in his bid for a tenth term in Congress. His defeat, as well as a Democratic takeover of the House, will put the leadership of that subcommittee in new hands next year. Culberson was known for his efforts to increase funding for NASA, particularly for missions under development to go to Europa, the potentially habitable moon of Jupiter. Bridenstine, speaking at a meeting of the National Space Council’s Users’ Advisory Group here, said Culberson’s absence will be felt. Bridenstine also noted that NASA, like other federal agencies, has been asked by the White House to develop proposals for a five percent cut in its fiscal year 2020 budget, currently being crafted for released in February. That would require NASA to find approximately $1 billion in cost savings across its programs. Bridenstine was responding to a question from committee member Harrison Schmitt, the Apollo 17 astronaut, who was concerned about the level of funding reserves available for NASA’s major exploration programs. “We’re okay for now,” Bridenstine said. “I’m sounding a warning.” He said later the specific issue of reserves had not come in discussions with the Office of Management and Budget.